(Nanowerk News) Soft drinks, cosmetics, medications, and more still – since an attempted terrorist attack on a commercial airliner was thwarted at the last second in 2006 air passengers are only allowed to carry limited amounts of liquids and gels in their hand luggage. Different principles for monitoring devices for the identification of hazardous liquids have since been suggested, but none of them have yet gained acceptance at airports around the world. Jülich physicists are now proposing a promising new method. 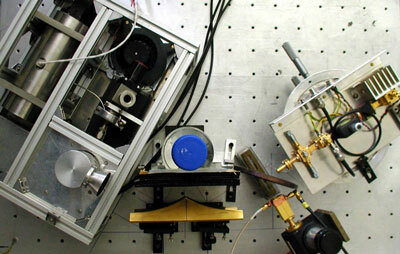 In the science journal Superconductor Science and Technology ("Liquid identification by Hilbert spectroscopy"), Jülich physicists presented (20 October 2009) their prototype of a new detector that can reliably and rapidly distinguish between liquid explosives and harmless substances.